I am a historian of the North American West and its borderlands, and I specialize in the study of gender; of race, ethnicity, and indigeneity; and of desire and embodiment. I work primarily in the nineteenth and twentieth centuries, but I teach and take interest in the seventeenth and eighteenth centuries as well. My scholarship has focused on relations of power in western North America both as a place of lived experience and as an imagined space. I work with graduate students interested in multiracial histories; gender histories; U.S. western, borderlands, Pacific, and other place-based histories; Latino, African American, American Indian, and Asian American histories; histories of sexual minorities and majorities; histories of whiteness; and social and cultural histories more broadly defined. In addition to the work I do in the History Department, I’m also a faculty affiliate of the Chican@ and Latin@ Studies Program and the Gender and Women’s Studies Department, reflecting my ongoing commitment to the intellectual projects of ethnic studies and gender studies and the political project of social justice. I’m energized by academic work that that reaches beyond the boundaries of the university. So, for example, I published my first book, Roaring Camp: The Social World of the California Gold Rush, with a trade publisher; I served as a consultant to the PBS American Experience documentary, The Gold Rush; and I participated in a special on-the-road summer course in 2005, “The Santa Fe Trail: In Search of the Multiracial West,” that took thirty-five undergraduate and graduate students on a two-week bus trip from Wisconsin to the Southwest and back again. Susan Lee Johnson. 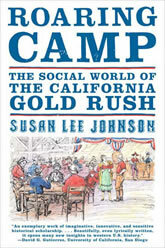 Roaring Camp: The Social World of the California Gold Rush. W. W. Norton & Company, 2000. 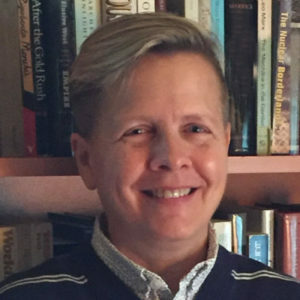 “Queer Wests: A Historiographical Conversation,” coauthored with Christopher Hommerding, Simon Fisher, and Johanna Lanner-Cusin, Special issue, “Queer History in the West,” Western History Association Newsletter, Spring 2013. “Nail This To Your Door: A Disputation on the Power, Efficacy, and Indulgent Delusion of Western Scholarship that Neglects the Challenge of Gender and Women’s History,” Pacific Historical Review 79, no. 4 (Fall 2010). “‘My own private life’: Toward a History of Desire in Gold Rush California,” in Rooted in Barbarous Soil: People, Culture, and Community in Gold Rush California, ed. Kevin Starr and Richard Orsi (Berkeley: University of California Press for the California Historical Society, 2000). “‘A memory sweet to soldiers’: The Significance of Gender in the History of the ‘American West,’” Western Historical Quarterly 24, no. 4 (1993). Reprinted in A New Significance: Re-envisioning the History of the American West, ed. Clyde Milner (New York: Oxford University Press, 1996), and in Women and Gender in the American West: Jensen-Miller Prize Essays from the Coalition for Western Women’s History, ed. Mary Ann Irwin and James Brooks (Albuquerque: University of New Mexico Press, 2004). Bill and Rita Clements Research Fellowship for the Study of Southwestern America, Clements Center for Southwest Studies, Southern Methodist University, Fall 2011.